MOSCOW (Sputnik) - The Kremlin suggests that all speculations about Russian Foreign Minister Sergey Lavrov leaving his post be ignored, Kremlin Spokesman Dmitry Peskov told Sputnik Wednesday. "Let’s congratulate Sergey Viktorovich [Lavrov] on his birthday and pay no attention to speculations," Peskov said. 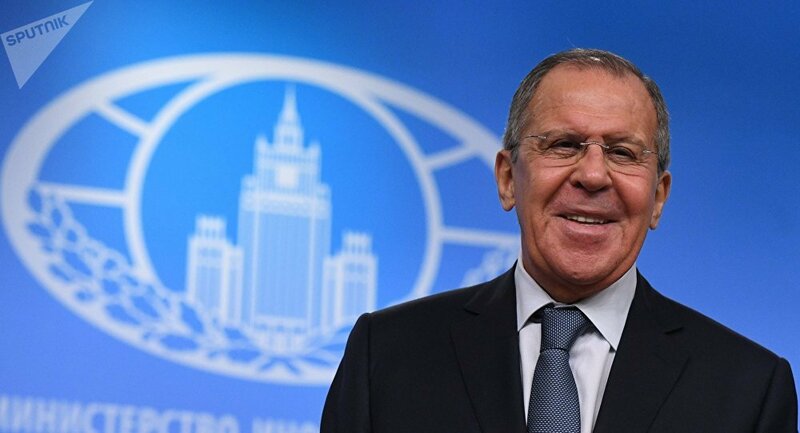 Earlier in the day, the US-based, Russian-language RTVI channel, citing some sources close to the Russian Foreign Ministry, said that Lavrov would not be joining the new cabinet. He allegedly wants to leave the post he has occupied since 2004 because he is tired of the work, according to the media. — MFA Russia 🇷🇺 (@mfa_russia) 21 марта 2018 г. ​Foreign Ministry Spokeswoman Maria Zakharova has said that she was not informed on the matter. Lavrov celebrated his 68th birthday on Wednesday, which he spent in Tokyo having talks with his Japanese counterpart, who gave him a birthday cake shaped like a soccer ball.